Somerville, Mass – I know I like to go on and on about how artsy and edgy and independent Somerville is. But this week, this happened. And we are beyond excited. 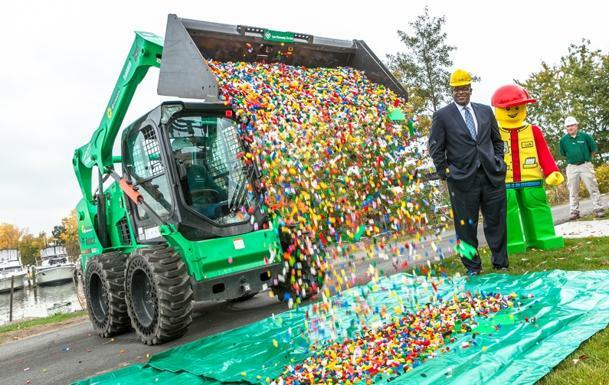 Somerville city officials are so stoked that they all posed for pictures with Bertie the Lego man. The only question is, will the new Legoland be open in time for the twins’ 4th birthday?